On this day one year ago, Mashal Khan was brutally murdered by a mob over false blasphemy allegations. One person has been sentenced to death since and five others have been given life imprisonment but Mashal’s family still awaits justice. The 23-year-old was stripped, beaten and shot by a mob made up mostly of students before being thrown from the second floor of his dormitory at Abdul Wali Khan University in Mardan. The brutality of the attack, which was recorded on mobile phone cameras and posted online, stunned the public and led to widespread condemnation. Protests erupted in several cities across the country and the university was shut for weeks. Students and staff members who took part were rounded up after being identified through CCTV footage from the university and video clips. An official report released soon after the incident concluded Mashal was falsely accused of blasphemy. The report stated the murder was instigated by members of a student group who were threatened by Mashal’s growing prominence and stance against their activities at the university. Mashal’s father, Iqbal Khan, said they will take out a rally in his memory. “The date of the rally will be decided after consultations with my relatives,” the aggrieved father said while speaking to media in Swabi on his first death anniversary. Separate rallies and vigils are being held across the country today to mark the incident. “I had asked the provincial government for five attorneys since there were 25 lawyers defending the suspects. However, they promised two but gave me only one,” he lamented. Mashal’s lynching case was initially heard by an ATC in Mardan central jail. But on the request of Mashal's father, it was shifted to a special ATC in Abbottabad. The verdict was given on Feb 7, 2018. In all 57 people were put on trial in connection with the murder, including fellow student Imran Ali, who knew the victim well and pleaded guilty to shooting him. He was the only person who received a death sentence. The ATC gave five others namely Fazal-e-Raziq, Mujeebullah, Ishfaq Khan, Bilal Baksh and Mudassir Bashir life imprisonment. Twenty-five accused were awarded sentences of four years each, while 26 suspects were acquitted by the court for lack of evidence. Three more suspects, including a tehsil councillor from the PTI, were absconding. The 26 suspects released by court received a 'hero's welcome' in their native towns of Swabi and Mardan after their release. Later, Mashal’s family challenged their acquittal as did the provincial government. On February 27, the Peshawar High Court ordered the release on bail of the 25 accused who had been awarded three to four-year sentences in the case. On March 8, the primary accused, Mohammad Arif Mardanvi, was arrested. Arif was among the three accused of Mashal’s murder. He was serving as the tehsil councillor of the PTI. One of the two remaining absconders in the case, Sabir Mayar, handed himself over to the police on March 19. According to Mardan District Police Officer Dr Mian Saeed, the search for the third absconder is under way. 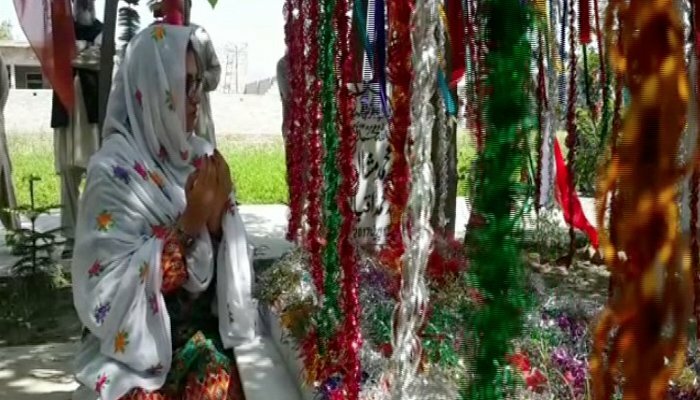 Mayar, who was the president of Pakhtun Student Federation, is said to be the one who hatched the plan for Mashal’s murder as he was threatened by the latter’s stance against his activities at the varisty. 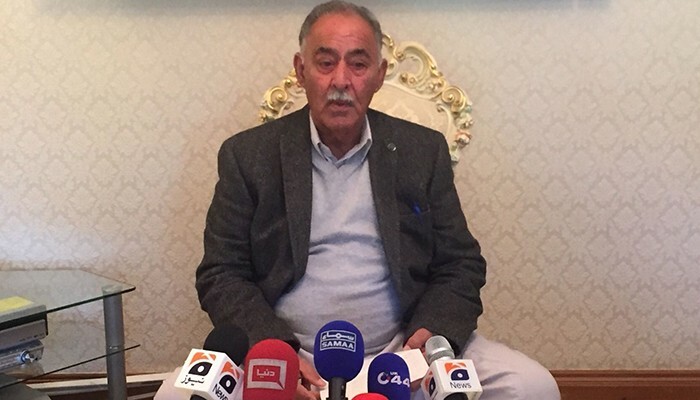 The Joint Investigation Team (JIT) formed over the lynching case revealed in its report in June 2017 that members of the Pakhtoon Students Federation, the student-wing of the Awami National Party, incited the mob to kill Mashal on the pretext of blasphemy. The report stated the murder was premeditated as the group was threatened by Mashal's activities because he would raise his voice against irregularities at his university. According to the JIT report, the president of university employees, Ajmal Mayar, revealed during investigation that around a month before the incident, PSF President Sabir Mayar and an employee of the varsity, Asad Katlang, went to him and said they wanted to remove Mashal from their way as he was a threat to their group. The report added that Sabir and Asad did not mention how they wanted to get rid of Mashal, but they are on the run since the day of the killing. Mashal, who was also part of PSF, would openly speak against irregularities in his varsity, the report added. He had protested over the issue of the university not having a vice chancellor after the previous one retired, as the absence of one would hinder the students from getting their degrees, read the report. "No one from the AWKUM management visited the camp, due to which Mashal called them thieves."